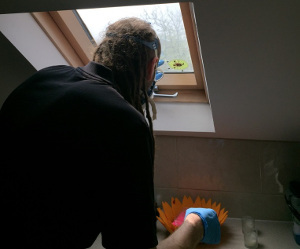 Domestic & Commercial Pest Management Greenwich SE | RDA Cleaning & Maintenance Ltd.
Pest Control Greenwich SE - We Kill All Insects, Rodents, Bed Bugs! Our pest management Greenwich SE services aren`t hourly based. Instead, the well-trained and experienced pest control technicians come for an inspection in advance, negotiate the options with you, provide quotation and only then, appoint the service date. We give you instructions whether you have to do something before or after the service. Our reliable pest control company never leaves the premises with unfinished job. We stay until needed. Upon completion of the service, the client has 3 months guarantee, in which only 2 extra visits can be arranged free of charge! Whether you are tired of homemade pest control methods that simply don`t work, or you need emergency pest control service, rely on us at a full value. Our great pest control company in Greenwich SE works during the entire year. Book our high quality pest control assistance right away! Call us an this 020 3404 1646 phone number now! Get a free quote or make an instant reservation!